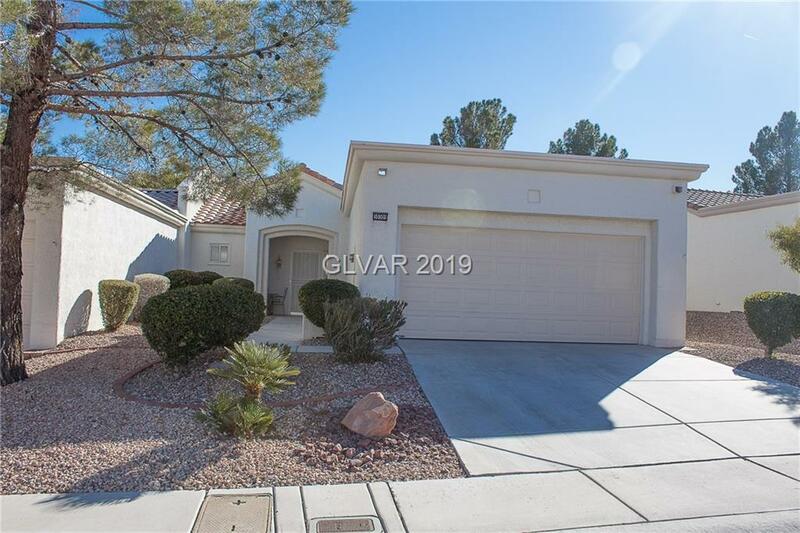 Beautiful townhome in Sun City Summerlin. Move In Ready! Low maintenance 2 bedroom, 2 bath single story home with 2 car garage. Features include water softener, all appliances included, garage storage, window Shutters, newer kitchen cabinets, fresh Paint & brand new carpet. Home has large living room, dining & kitchen combo, front court yard & backyard patio.